 Pet Insurance Cost - how much is pet insurance? Pet Insurance Costs: How much is pet insurance? Pet insurance is way to protect both you and your pet from unexpected vet bills. Not only does it make sense financially but it makes sense for your pet. Pet insurance costs can be budgeted for each month, but the peace of mind that comes with never having to weigh up the cost of vet treatment is priceless. Bow Wow Meow offers a range of flexible, competitive policy options for dogs and for cats to suit every need and budget. Pet insurance costs vary depending on a number of factors including cover type, species, breed and age of the pet.  To get a truly accurate idea, we suggest you get a pet insurance quote as our new policies (from 5 Dec 2018) have been amended with better levels of cover and higher annual limits. However, although the tables below are based on our older policies, they will give you an indication of the average premiums for two of Bow Wow Meow’s popular policy types. How are pet insurance prices calculated? Species: Bow Wow Meow insures dogs and cats only. Cats are generally less risk prone and less costly to treat, and as such premiums may reflect this. Breed: Breed plays a significant role in pricing. As an insurer, we understand which conditions are more likely to affect certain breeds based on the historical data we have collected. This data assists in predicting the chances of claim frequency for certain conditions in each breed. The animal’s age: Although younger pets are more prone to accidents, older pets are more prone to illness. As a result, premiums need to be risk adjusted as your dog or cat ages. Whether your pet is a crossbreed or purebred: As crossbred pets generally suffer from fewer health problems, they typically cost less to insure than purebred animals. Whether your pet has been desexed: Pets that have not been desexed have an increased risk of suffering from certain medical conditions, so desexed pets will be cheaper to cover in most cases. Postcode: Demographics of an area can affect the veterinary cost of treatments, and there are considerable discrepancies between the different states and areas within each state. This needs to be taken into account so that premiums are fairly adjusted according to the cost of vet care per area. Is the cost of pet insurance worth it? Once you start comparing the average cost of veterinary care and the potential costs you will be faced with when treating a serious health condition, the value of pet insurance is put into perspective. The average cost of premiums for an Accident & Illness policy as at 27/11/2018, amounted to $624.53 (calculation based on all active Bow Wow Meow Accident & Illness policies). This will be used in the example below. This pet insurance cost is known and can be budgeted for. The question that you need to ask yourself is this, “If you don’t have pet insurance, would you be able to pay for an unexpected vet bill for a couple of thousand dollars?”We have put together a comparative table that looks at your options when paying for vet care using the cost of a cruciate ligament procedure as an example. There may be loan approval processes; involved and application fees/entry costs.  Pet Insurance Pet Insurance, similar to other forms of insurance, is about a large number of pet owners paying a relatively low premium into a pool and essentially spreading the risk. This pool provides each insured member a high level of cover from which at the time of need they are able to “claim” to pay for the unexpected costs depending on what they are insured for. Limit resets on anniversary providing financial peace of mind. How do I lower the cost of pet insurance? Pet Insurance premiums are affected by a number of factors, which has been outlined above. Lower annual limits: policies with higher annual limits (eg. our $20,000 Ultimate Care option) will have higher premiums. Adjust the benefit rate: Our Peace of Mind policy allows you to choose a benefit rate of 60, 70 or 80%. The higher the benefit rate, the higher the premium will be. Choose a more basic policy: you can choose to exclude Routine Care cover, or move to an Accident Only plan. Any advice provided is general only. Refer to the applicable Product Disclosure Statement for details of Bow Wow Meow Pet Insurance cover.